Orders generally leave our warehouse in 1-3 days. Ground Shipping: Enter Address on the next page for Shipping Options. 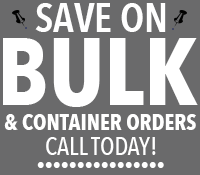 Freight Shipping: We ship by way of Freight Broker for Maximum Savings to you!